BELLEVILLE – Niigaan Sinclair, an Anishinaabe author, activist and professor, will speak Monday at Loyalist College about Canada’s truth and reconciliation process. The session takes place in the college’s Alumni Hall at 7 p.m.
Sinclair is an award-winning writer and an activist who was listed among Canada’s Top 20 Most Influential People by Monocle Magazine and as one of CBC Manitoba’s Top 40 under 40. 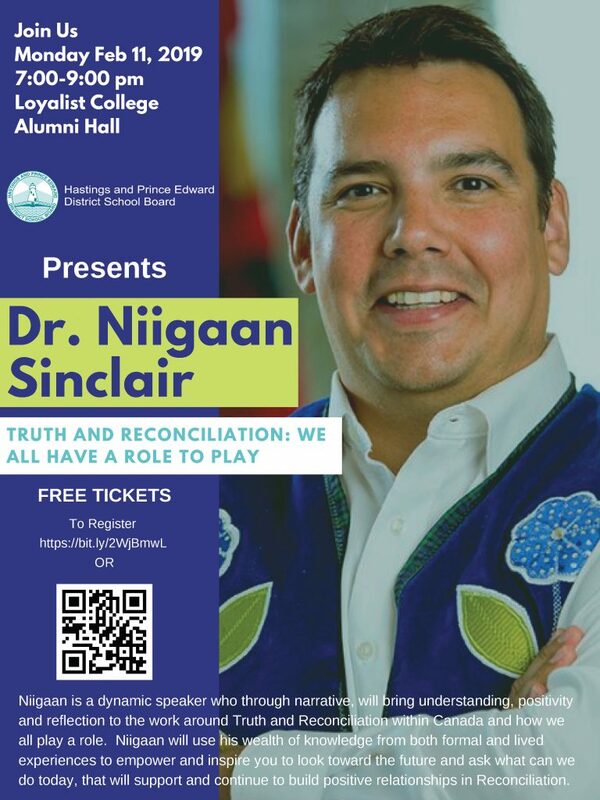 “Niigaan will use his wealth of knowledge from both formal and lived experiences to empower and inspire you to look toward the future and ask what can we do today that will support and continue to build positive relationships in reconciliation,” according to a news release from from the Hastings and Prince Edward District School Board, which has organized the event. The event is free, but registration is required. You can register here.